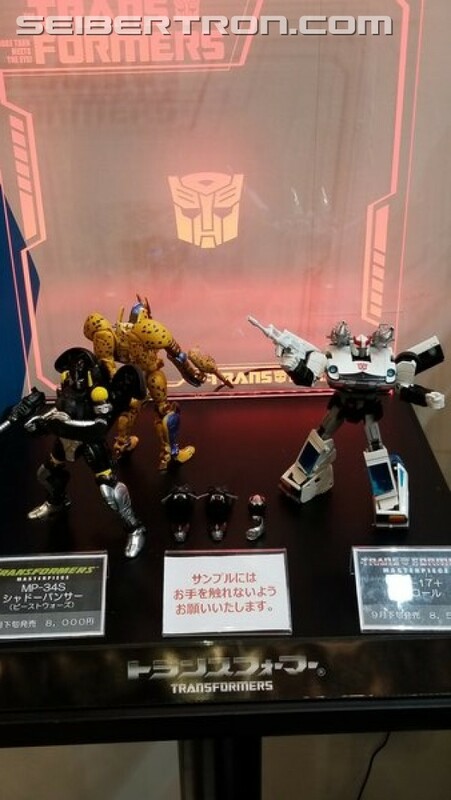 Fellow Seibertronian Primalxconvoy attended Japan's Wonderfest 2018 and snapped images for us of the Transformers Masterpiece figures there on display. 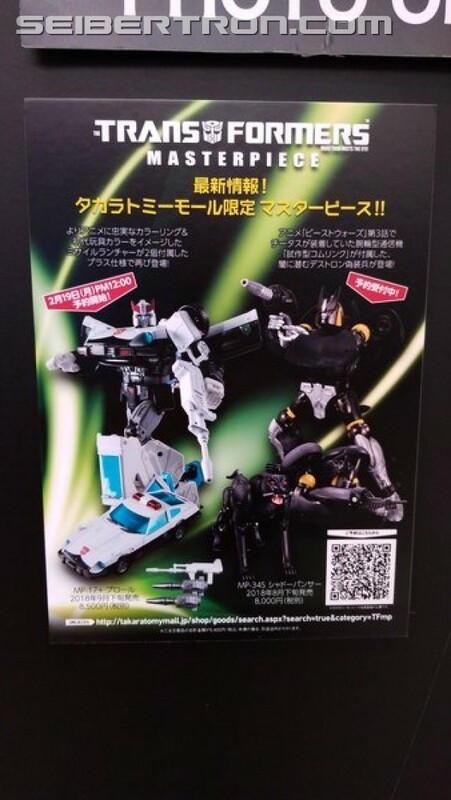 There were no new Masterpiece figures revealed though this was the first show with MP 17+ Prowl (animated version) and MP 34s Shadow Panther on dislplay. 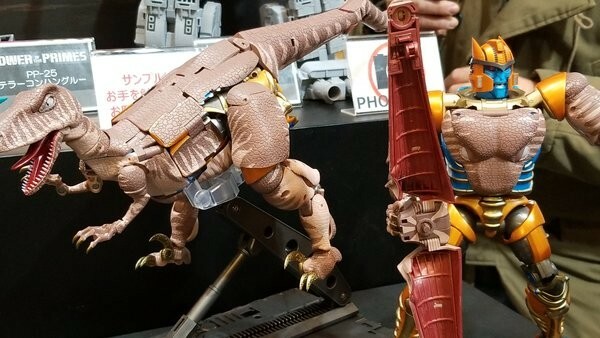 There was also the hotly anticipated MP 41 Dinobot and you can see close ups to his beast and robot head. 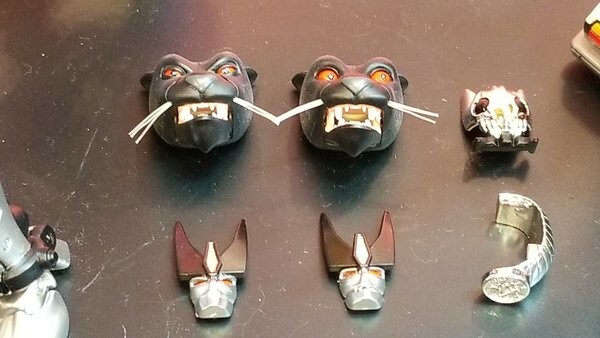 MP Shadow Panther also had all his accessories on display, which many find to be the high point of the figure, since it includes his mutant head and comlink devices that can also be used on MP Cheetor. Movie Masterpiece Barricade was also there. 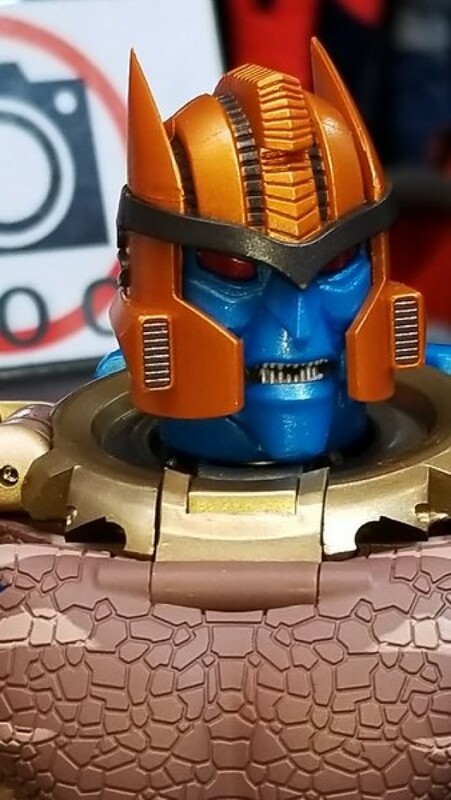 It is our first look at what Takara will release and appears to be the exact same figure some fans already have in hand from Hasbro. I applaud TRU Australia for their initiative in bringing Shadow Panther to our shores, and while I would love to support said initiative, that guy really does nothing for me. 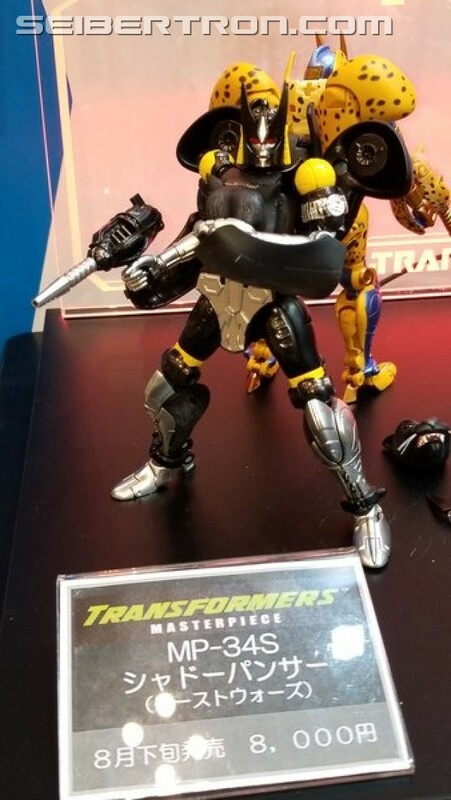 Cannot wait for that Dinobot!! Why is this thread being used for generic MP news when every MP gets his own thread? Looks to be coming out this September. I'm interested, but not so sure about the whole "exclusive" thing. I'll keeo an eye on HLJ for possible preorders, and if not, it'll probably end up on Mandarake not long after launch. wilcosu35 wrote: I'm interested, but not so sure about the whole "exclusive" thing. I'll keeo an eye on HLJ for possible preorders, and if not, it'll probably end up on Mandarake not long after launch. Well its up on BBTS website, so I'm also hoping for a HLJ release. I noticed that on tfsource the order for 17+ has the manufacturer listed as hasbro and there is no option for Takara, will it come later or is there no option? I know they're both releasing them but I don't want to preorder the hasbro one and wind up with it having their version of the Masterpiece box instead of the Takara one. It probably sounds dumb but I like consistency in my collection and those big obnoxious hasbro Masterpiece boxes don't have a place in my collection. steals_your_goats wrote: I noticed that on tfsource the order for 17+ has the manufacturer listed as hasbro and there is no option for Takara, will it come later or is there no option? I know they're both releasing them but I don't want to preorder the hasbro one and wind up with it having their version of the Masterpiece box instead of the Takara one. It probably sounds dumb but I like consistency in my collection and those big obnoxious hasbro Masterpiece boxes don't have a place in my collection. 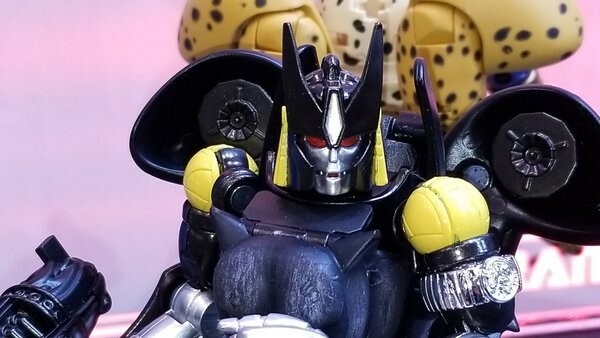 Since it's the same figure and the Japanese version is a Takara Tomy Mall exclusive (it will NOT be on HLJ) it probably didn't make sense for them to import it at a much higher price. I'm going to guess that Hasbro's version will be the same box as the Japanese version, but with English text just like the Masterpiece Movie line. The Hasbro style boxes could be gone or could be reserved for their own MP exclusives (Acid Storm et al). william-james88 wrote: In less than 2 weeks we are getting new reveals at the biggest toy show in japan. The Biggest toy show in Japan is Tokyo Toy Show in June. Wonder Festival is like the New York Comic Con of Japanese toy events. 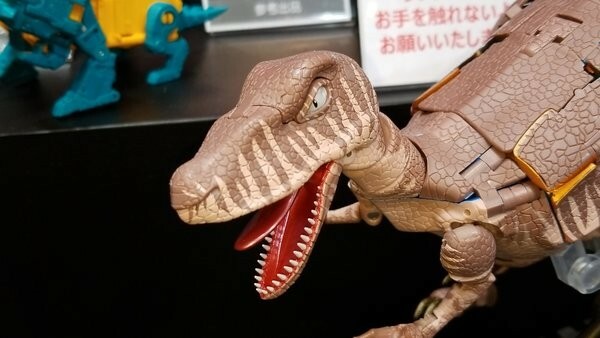 Takara Tomy didn't even start attending until a few years ago since WF is more of a collectors show and TT didn't fully embrace collectors until recently. I can't remember if Bandai has started attending WF or not, they usually hold their own Tamashii Nations event later. But yes, they'll most certainly show something then. Wonder Festival is past, and no news (unless you count the Prowl redeco). I was hoping for something but it didn't happen. So the next major event is Tokyo? .....and this has what exactly to do with Masterpiece figures? Because you could theoretically buy MP figures there? Yeah, I think Prowl was supposed to be the surprise of the show, but they got scooped a couple day earlier. 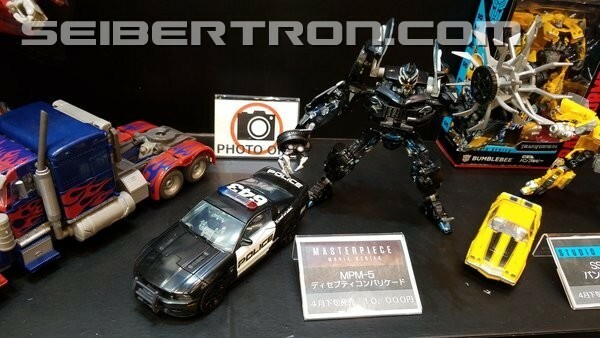 Tokyo Toy Show will probably have Beast Megatron and maybe a preview of the new Optimus Prime/Convoy. 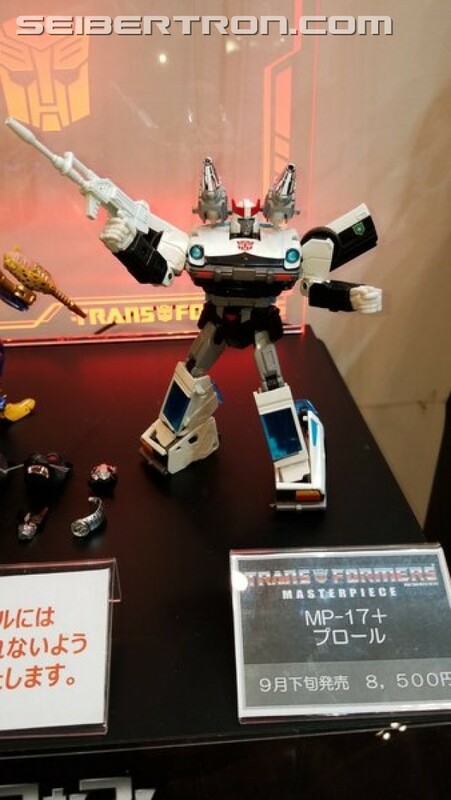 Wonder Festival Summer is in July and there's a chance of either a new animated style repaint of a previous figure (Wheeljack? Smokescreen?) 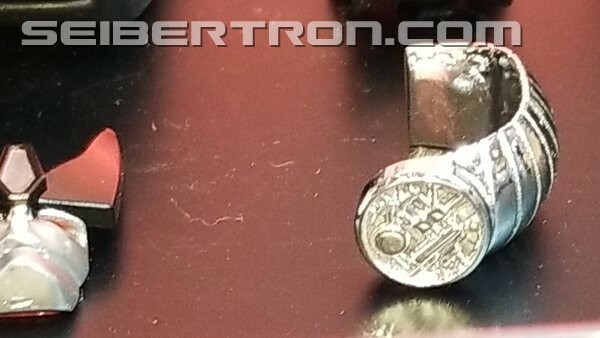 or a new small G1 or BW MP since we haven't had one that isn't an MPM in a while. Of course Japan doesn't depend on events to reveal stuff since magazines are still a thing over there. Something could be announced tomorrow for all we know. Grimlock, like most official releases of his character as a toy, seems too small, compared to other figures. MP Grim is too small compared to MP Prime, for example. Perhaps it would look good next to the "voyager" sized characters, such as CW Megatron, TR Soundwave, POTP Optimus, etc. However, there is an upscaled, knockoff version of MP Grimlock (in both be metallic or comic colours) that's bigger than MP Optimus, making it a better scale. I wouldn't recommend ANY MP (even a KO) for a 10 year old. They're not really meant to be played with by kids. Anyone have an idea if MP Hound is close at hand? Because I'm not sure if I should get Maketoy's "Hound" or should I wait. I'm pretty sure Reflector will never happen so Visualizers is at least a sure shot. -Kanrabat- wrote: Anyone have an idea if MP Hound is close at hand? Because I'm not sure if I should get Maketoy's "Hound" or should I wait. The next G1 MPs are to be Hoist and Trailbraker, along with an MP Beast Megatron. Those are the only figures Takara hinted to be working on at the moment.